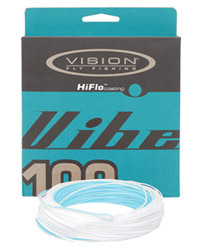 Vibe 100 has a 10.0m long head (blue/white) and is therefore a great all round fly line. 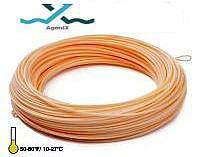 It is easy to roll and spey cast and is a long casting line with overhead casts. It has a slick and supple HiFlo coating which remains memory free even in cold conditions. The low stretch core helps you to feel the takes and transfer casting energy better than traditional cores. The readymade loop makes it easy to attach the leader. 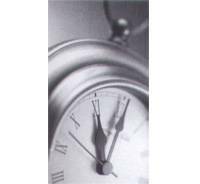 Nite is a weight forward line for all round use with a supple and slick self-lubricating coating. 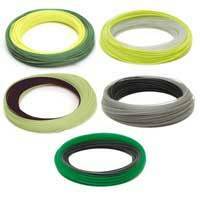 It has a compound type taper and is a two tone line with a mango coloured head and light grey running line for high visibility. The readymade loop makes it easy to attach the leader. 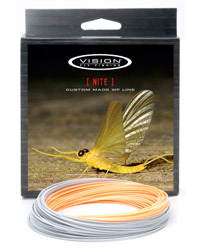 The Nite line is built on a braided core and it remains memory free in cold water. 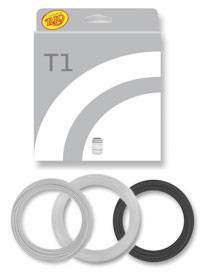 Available floating in line weights #48. 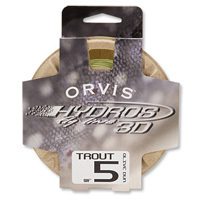  Our best-selling and most versatile line for all-around trout fishing.  90', line sizes 3-8.  In yellow, olive dun. 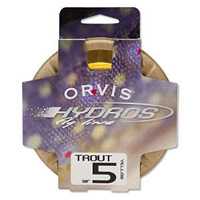  Built a half-size heavier than our standard trout line to load fast-action rods quickly and completely, generating high line speeds and helping to turn over indicator rigs, bushy terrestrials, multiple-nymph rigs, and big flies easily and accurately.  Designed to enhance the casting capabilities of our new Superfine Touch rod series. 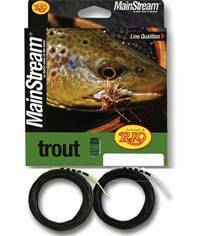  An excellent line choice for spring creeks, slow moving, and clear water situations where stealth and technical expertise is a premium.  Even the color is designed with stealth in mind. 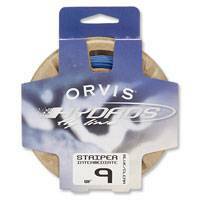  Specially designed weight- forward taper loads rods at short distances but still affords delicate presentations.  90', lines sizes 1-6. 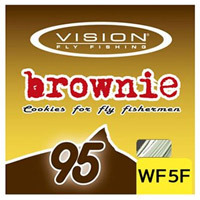 Brownie 95 is a short belly line with a total head length of 9.5m/31. 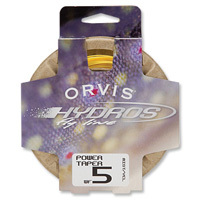 The taper design and short head combine to excel at roll and Spey casting. Front taper is tuned towards delicacy, but will still turn a heavier fly when needed. New improved T2Flow coating which is silky smooth and supple giving great shooting and handling properties in all conditions. 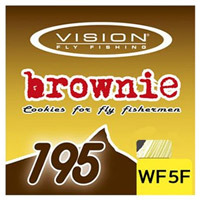 Brownie 195 is a long belly line with a total head length of 19.5m/64. Again, made to follow the AFTM line weights within tolerance, BROWNIE is front looped and features a 45cm/18 High Float Tip for closer control and better reaction. 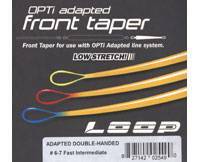 The taper design and long head combine to excel at long range mends, big water application and for more advanced Spey casters. Front taper is tuned towards delicacy, but will still turn a heavier fly when needed. Now a proven and very successful line, Attack's exclusive taper gives effortless distance and delicate presentation. Made in the same way as the specialist series and now available in Intermediate and Sinking versions too. Attack lines represent outstanding value for money. The Cortland Precision Competition Nymph Line has been uniquely engineered to help the nymph specialist create ultra-precise presentations and achieve the highest degree of strike detection, sensitivity, and accuracy  this is the perfect line for French, Czech and high-stick nymphing styles where the fly-line is held off the water. 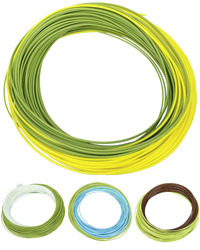 Ideal for fishing in normal and early season conditions, in cool climates, this general purpose saltwater floiating line includes welded loops on both ends for easy rigging. The light coral colour is incredibly easy to see in all light conditions. The all-purpose saltwater line for sea bass, mullet, early season bonefish, redfish, stripers or snook with a taper design that will turn over big flies into any wind. that ensures the running line floats and RIOs XS Technology for the slickest of finishes and the ultimate in distance casts. The Cortland 333 Pro Flyline provides the fisherman with a quality product at a sensible price. 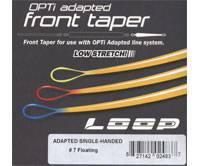 Coming in a full range of sizes to suit most applications the tapers are well chosen to give great performance ensuring long casts and excellent presentation of the fly. The 444 Classic Sylk is the first modern line designed specifically for fine bamboo rods by replicating the diameter, long gradual taper, supple feel and natural color of oiled silk. 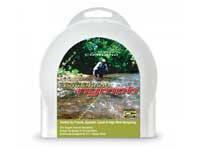 Its gentle casting qualities have obvious advantages in low-water situations as well. 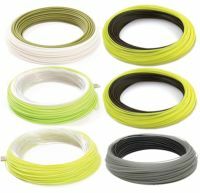 Designed to simulate the silk lines of old and to bring the best out of soft actioned bamboo rods the Cortland Classic Sylk lines have become a cult line offering the ideal fly line for fishing streams, rivers and small stillwaters. The unique coloured coating is non-spook but easy for the fisherman to see those subtle takes when nymph fishing. 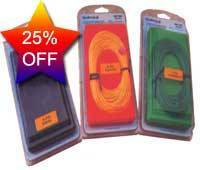 Rovex Radion flylines offer exceptional value for money. 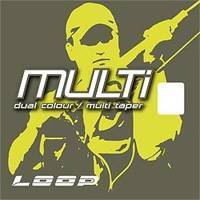 Available in a full range of densities and sizes they have well chosen tapers designed to give perfect presentation and effortless long distance casting. 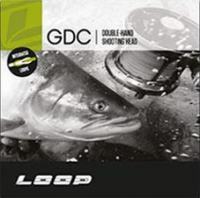 The perfect match for Rovex Radion Rods and reels.